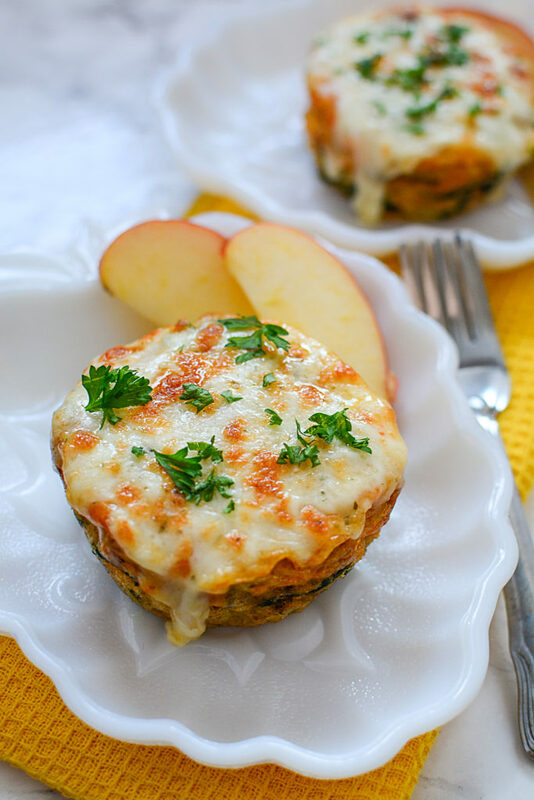 You know what’s awesome about these Sausage and Spinach Breakfast Muffins? Besides the flavor bombs that they are, the fact is, that they freeze INCREDIBLY WELL! And because they freeze so nicely, these muffins are ideal for busy work and school mornings! They provide that filling, but not heavy breakfast. There’s just enough cheese to make you feel like your being all rich and decadent, and they keep you on a nourishing eating track. To make these super easy muffins, you’ll want to either have a large muffin pan (it will make 6), or if you use a smaller muffin pan it will make 12. However, regardless of which you use, be SURE.. yes.. ABSOLUTELY SURE that you grease the living heck out of those little cups. I’ve seen other people make them and they have no issues with sticking, but every time I make them, if I don’t grease the cups well enough – it’s not fun trying to get them apart. I used whole sausages because that’s all I had on hand. 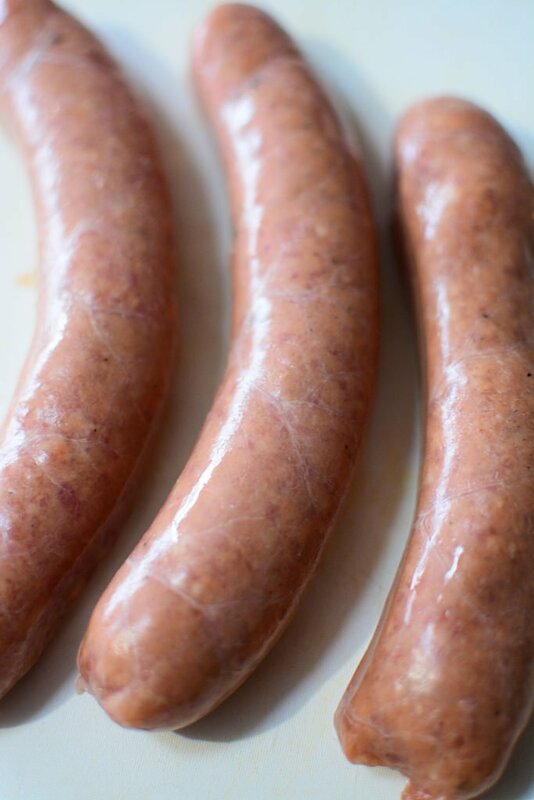 You can purchase loose sausage meat (not put in casings), but really, if you have regular sausages, simply cut the casings and remove the meat. 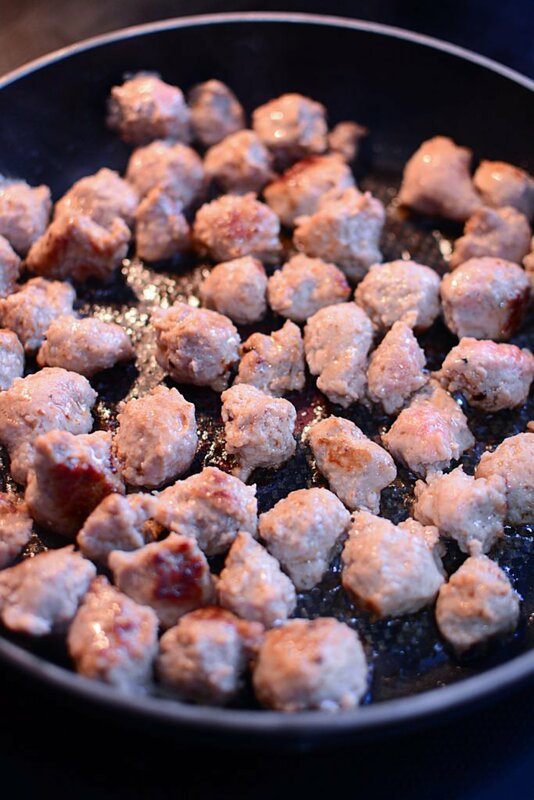 I make them into tiny little bits, almost like a sausage meatball. No big deal and easy to do. 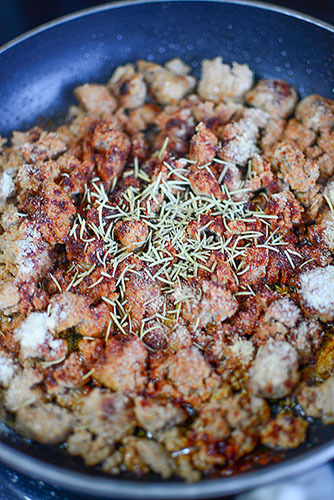 Get a nice brown on the sausage (the crust always adds a nice texture and a deeper flavor). 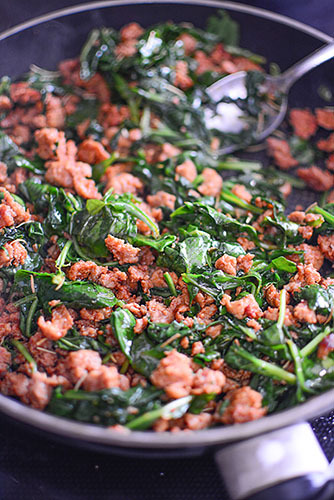 Season the sausage with the spices, and add the spinach. I used fresh baby spinach leaves, but use what you have on hand. Frozen spinach? NO PROB! Just thaw it first, and put it in a super clean kitchen cloth and wring the moisture out. You don’t want to steam the sausage or make the muffins watery. 6 eggs is the number for the day. Break ’em up and beat them so they’re well incorporated. Add the slightly cooled sausage mixture. Spoon into the muffin cups. Throw them in the oven to bake. A few minutes (5 or so) before the baking time is up, crown those little gorgeous parcels with cheese. Let the cheese get all melty and ooey gooey. Heck, add a bit more extra cheese if you’re feeling fancy or generous. It’s worth it. When the baking time is up, remove from the oven and let them cool for a few minutes. If you have any issues removing the muffins, use a small spatula to loosen them. Do not use a knife to loosen them from the pan. When they are completely cooled, wrap each muffin in plastic wrap and freeze. Simple! On those mornings when you’re rushed, or you don’t feel like cooking something – pull one from the freezer and pop it in the microwave or a toaster oven. I prefer the toaster oven. It takes a bit longer to thaw and heat through, but the texture is so much better. But hey… we have to do what we have to do, right? You could even let it thaw and eat it room temperature if you needed to, but … do you really need to? If worst came to worst, you could run into a local convenient store that sells cold hamburgers and slide the muffin in their microwave and heat it up. See? Free and totally do-able, with no need to eat the muffin at room temp. 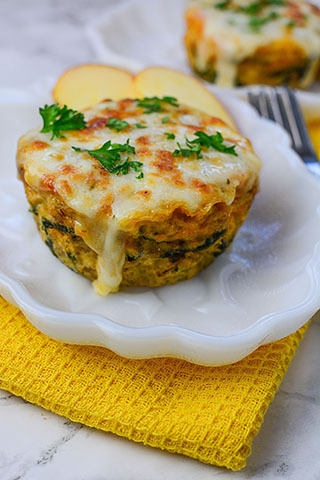 What kind of variations can you do with this sausage and spinach muffin recipe? 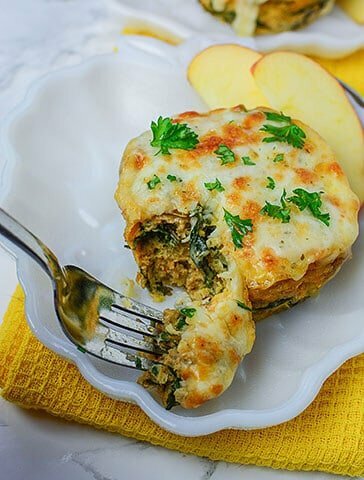 I love making these sausage and spinach muffins for busy times when you just don’t have time to make anything substantial. 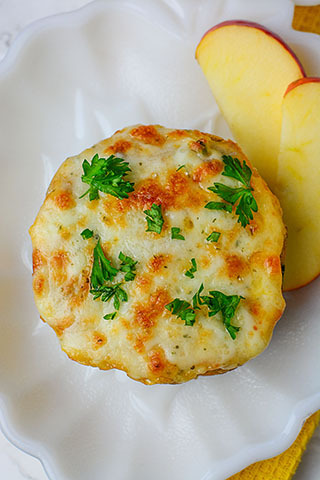 These would be ideal for a nice snack or even a quick lunch if you pair it with a side salad! If you’re looking for other make ahead breakfast ideas, take a peek at this super tasty Breakfast Eggers! (click here). If you make these muffins, please let me know what alternatives you made to the recipe! Make these muffins and have smooth running mornings!! Have a great day! 1 c frozen spinach or 4 - 5 c fresh, it wilts! 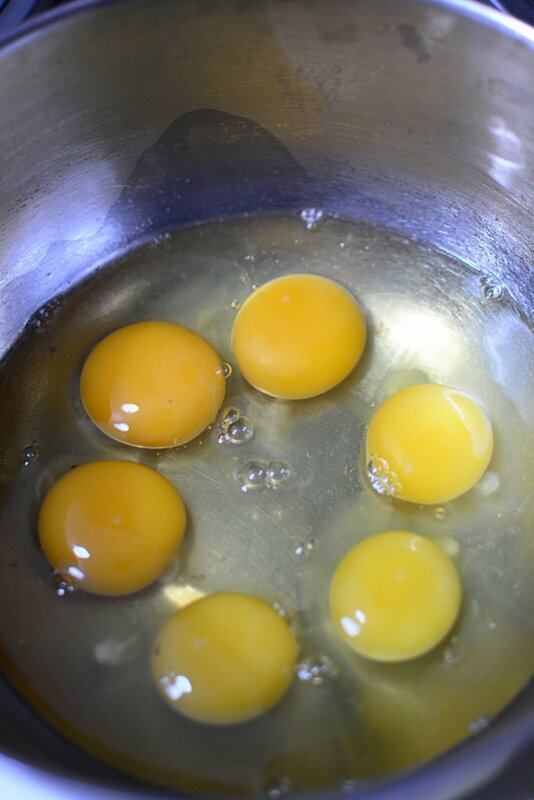 In a separate bowl, add 6 eggs. Divide the sausage mixture between the muffin tins. Cook for approximately 25 - 30 minutes. Just before cooking time is up, sprinkle the cheese over the tops of the muffins and let melt. Remove from oven and let cool. Wrap in plastic wrap and keep in the freezer.